I’ll confess, I’ve had kind of a downer on Christmas Eve boxes in the past. Why do we need to make Christmas even more magical? Do our kids really need more presents? This is extra pressure on parents! And so on. However, I’m no stranger to eating my words and I’ll fully admit that now Caterpillar is older and hugely excited about Christmas I couldn’t resist going for it this year. I decided to go for a basket, rather than a box, so it would have a really festive, hamper-esq feel to it. Plus I found myself inspired by Wilko’s hamper selection, which is where the basket, cellophane, ribbon, sweet treats and decorations all came from. What’s in Caterpillar’s Christmas Eve mini hamper? You may remember the guest post from a little while back about the benefits of organic clothing. Sense Organics make wonderful organic cotton clothing for babies, toddlers & preschoolers and their PJ selection is gorgeous. Caterpillar is an especially warm child and thick, fleecy nightwear usually makes him too hot so I chose this lovely long john style because the fabric is the perfect weight, as well as being super soft and lovely quality. 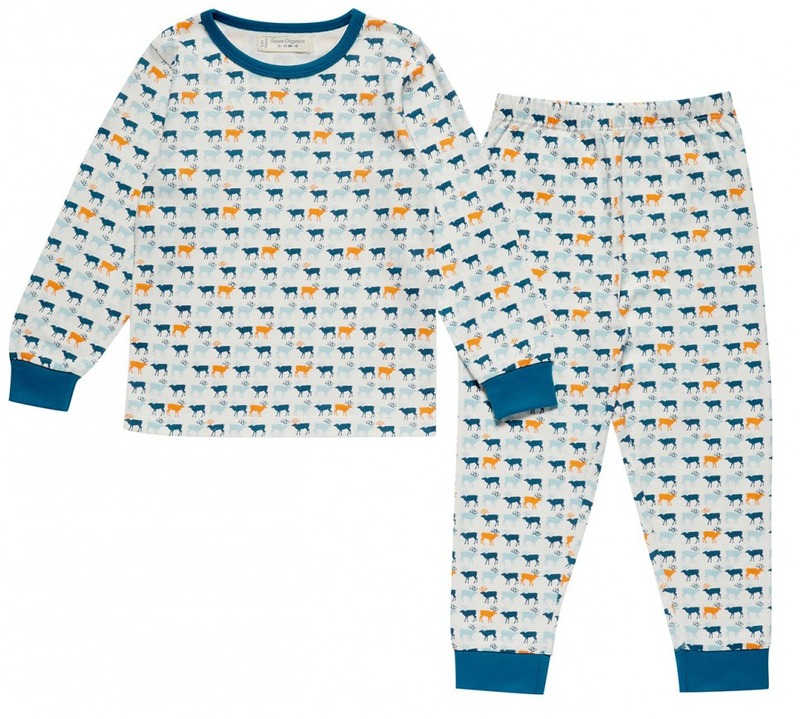 The print is adorable – although the reindeer and beautiful blues and orange are definitely wintry they are subtle enough that he can wear them for several months after Christmas too. Caterpillar is strangely fascinated with different shower gels and is always interested in the scents, colours & packaging. Although not standard for a Christmas Eve box, I thought it would be a cute idea to give him some new products for his evening bath. 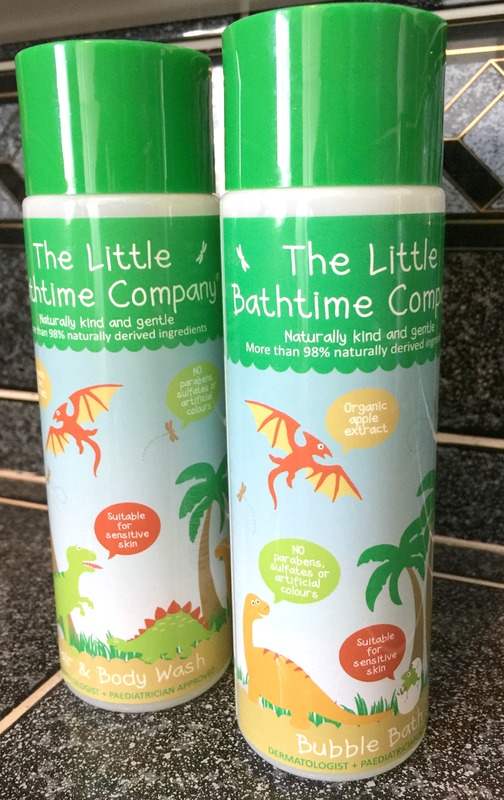 The Little Bathtime Company are a new brand who focus on products that work with our kids’ sensitive skin, while still smelling gorgeously fruity. They are made from organic ingredients including fruit extracts, essential oils and aloe vera, and are free from all the nasties. As a bonus, I think Caterpillar will love the adorable dinosaur packaging (they also come in fairy and under the sea themes). Last year we got Caterpillar’s letter for free through Royal Mail but this year I decided to go with NSPCC. The personalisation is awesome and the money goes to a great cause. This is a really adorable Christmas book which has a fab way of explaining Santa’s journey into houses which don’t have a chimney! 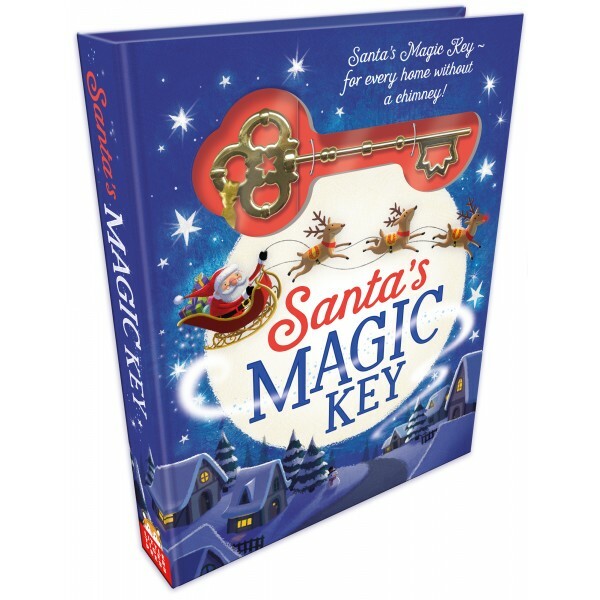 It even includes a gold key which I plan to ask Cheeky, our Elf For Christmas, to deliver to Santa and we will reuse this year after year. I featured these packs from KidzCreative on my Halloween post and they were great fun so I’ve included the Christmas one in Caterpillar’s basket. I also have one to give away, so if you want some crafty activities for the Christmas holidays feel free to enter below. 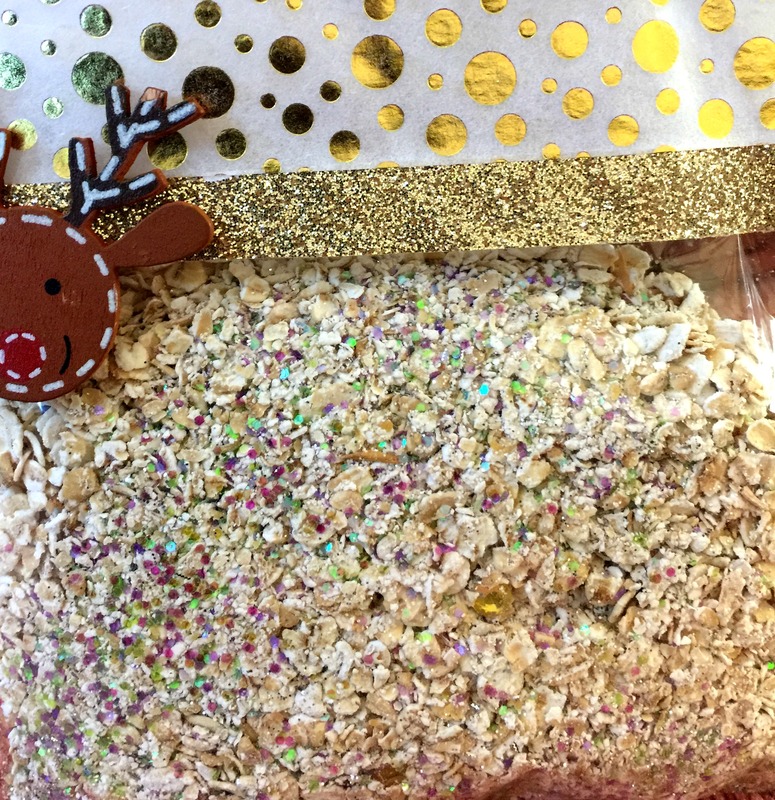 Continuing the craft theme, as we’re such big fans, I’ve included three great activities to keep Caterpillar busy on Christmas Eve from Little Crafty Bugs. First, is this sweet felt reindeer tree ornament which includes everything you need. Reindeer are Caterpillar’s current favourite so he’ll really enjoy this, plus we love keeping handmade decorations for coming years. Secondly, I’ve included some colour-in finger puppets which I love because it’s a craft but also good for story-telling and roleplay afterwards too. 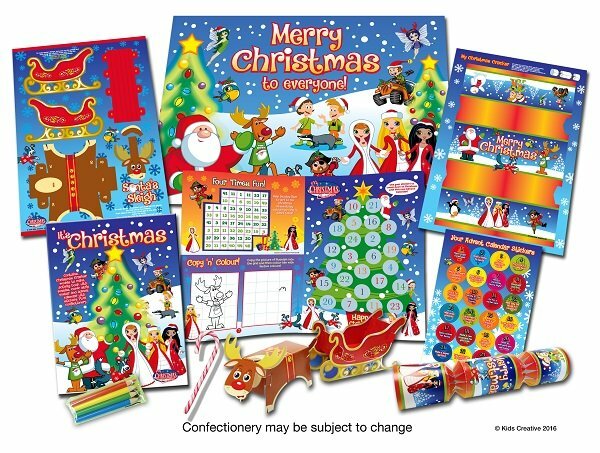 Lastly, is another Christmas activity set because once the relatives go home you’ve still got quite a long stretch of school holiday to fill so I figure you can’t have too many! 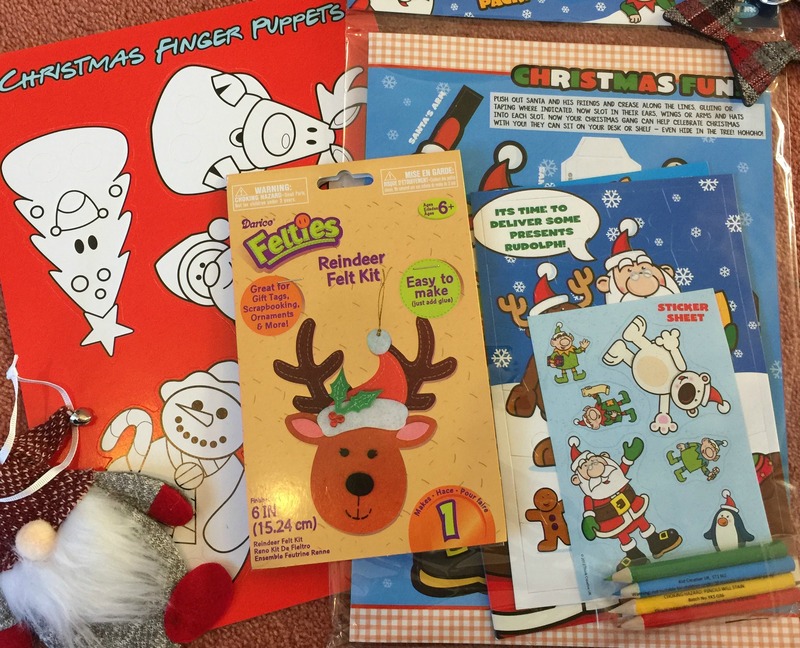 Little Crafty Bugs is such a fab site – as well as children’s crafts they have a huge range of adult craft supplies and party stock. This is simply dry porridge oats (I have plenty to use up now Caterpillar has decided he doesn’t want to eat porridge anymore!) plus sequins and glitter from my craft stash. I packaged in a clear bag and finished with washi tape and a reindeer embellishment. 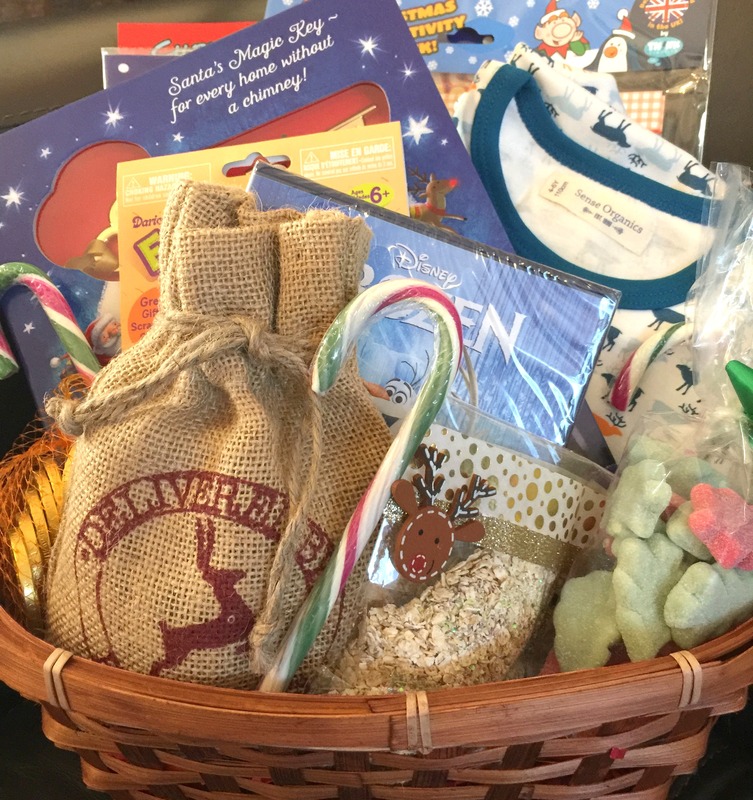 I’ve completed the basket with chocolate coins, candy canes and sweets. I’ve also tied two Wilko’s tree decorations around the top of the package for Christmassy decoration. I’m so excited to present Caterpillar with this on Christmas Eve, plus it includes plenty of activities to keep him occupied on the day while I get on with Christmas prep. What are your thoughts on Christmas Eve boxes? What have you included? Disclosure: This is a collaborative post and contains some gifted items. Next Next post: Book Review: Santa To The Rescue!